Now the Dutch Govt. is also paying attention to secure the Cyber Fence. 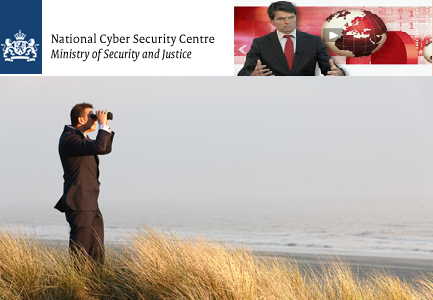 To protect cyber crime and enhance cyber security The Dutch government has set up a new National Cyber Security Centre (NCSC) to deal with with the growing problem of online crime. The NCSC, which is a public-private partnership, commenced operations on 1 January 2012. Its ambition is to grow, in a phased manner, into the cooperation platform for cyber security in the Netherlands. In 2011 more than 123K web pages of Netherland was infected by Lilupophilupop attack and also recently a Hacker Group named The Hackers Army has hacked thousand of Dutch sites while running their operation named #OPfreePalestine. Dutch cyber fence also been target from different part of the world. So this newly formed NCSC was indeed needed by Dutch Authorities. In the Netherlands several government departments are involved in the fight against cyber crime - and that's precisely the problem. The NCSC should improve coordination between them. The centre will bundle together a lot of knowledge and expertise. The NCSC is composed of over sixty people and will deal especially with the major issues. Wouter Stol is cyber safety expert at the NHL University of Applied Sciences in Leeuwarden. He sees the NCSC as a good start:- "It's a clear move to streamline the approach to cybercrime. But it's not just about coordination. There's far too little knowledge in the public sector. How do you handle the problems with cyber crime? How do you organize it? Much remains to be done." The fight against cybercrime is still in its infancy, according Mr Stol. First you have to map properly how cybercrime - nationally and internationally - actually works. Cyber criminals are a difficult group because they often don't operate from a fixed location. An efficient response is only possible through international cooperation that is fast and smooth. To keep up with the technical know-how of the cyber criminals, the government has suggested turning to "ethical" hackers. This is the group that detect various leaks and weak spots. They hack the sites of companies and governments to identify the problems, not for criminal reasons. Wouter Stol thinks that these hackers will soon be needed. "Developments in the digital world are rapid. Training a few internet producers isn't enough. Before you know it you'll be left behind. It's a good strategy to gain the latest knowledge in a flexible manner. So you also need the hackers."